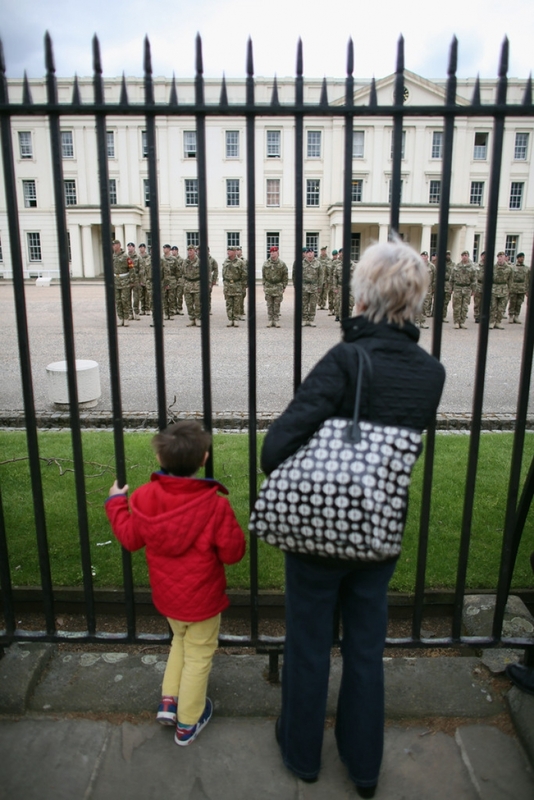 Members of the public watch through the railings of Wellington Barracks as soldiers of the 4th Mechanized Brigade prepare to parade through central London to attend a reception in the Houses of Parliament on April 22, 2013 in London, England. Over 120 personnel from the brigade have recently returned from a six-month tour of Helmand Province, Afghanistan where they were assisting the Afghan National Security Forces. - high-definition photo for free download.